June 1, 2016 — Professor Dudley J. Kingsnorth of Curtin Graduate School of Business and Executive Director of Industrial Minerals Company of Australia Pty Ltd was a presenter at the 5th Annual Cleantech and Technology Metals Summit held in Toronto. In his presentation, Dudley Kingsnorth provided a wide-ranging and concerning view of the rare earths sector. He is alarmed that China, through illegal mining and exporting, is squandering the best rare earths resources in the world and that, at some stage, the country will cease exporting these elements — and the rest of the world needs to prepare for that eventuality. The spectacular growth of the rare earth industry over the past 50 years, an achievement matched by few other metal commodities. 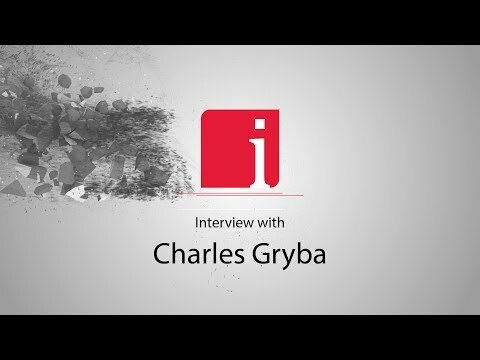 The challenge that Lynas Corp has faced with falling rare earth prices and finding trained staff. How the low price and surplus of cerium may see its uses expand. 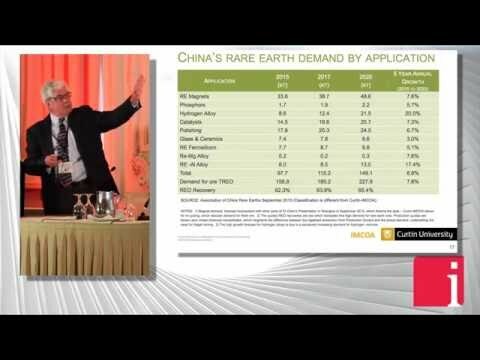 A forecast for future and growth rates in rare earths demand. How China is progressing with its downstream rare earth expansion. China’s agenda for the future. Why the rest of the world had to play its part in helping China stamp out illegal production, and the need for an international standard for rare earths which would deter illegal miners. I could not agree more that there is every chance that China will cease exporting heavy rare earth raw materials by 2021. I have been saying this since 2013, at least. Why is it now only coming to the attention of this web site’s readers and editors? China will as soon as possible price its monopoly resources such as the rare earths, tungsten, and antimony in Yuan, and the price will be set on a Chinese exchange. On what basis is one concluding that China will cease exporting by 2021. Dudley states at some stage. This could be in 5 or 10 or X years from now? Do we know their resource or reserve exactly? How much is it in the ground. Some geos had a go at it but it was not easy as there is no methodical resource estimation in China like in Aus or Canada. Amazing isn’t it. China was able to stop rare earth exports to Japan over night back in 2011 (fishing boat incident), but now it seems just all to hard to put an immediate stop to illegal rare earth production and supply. Whilst Lynas is alive perhaps China does not want the illegals to stop. ! I don’t think that any InvestorIntel editor has ever suggested that rare earths deposits were “rare”. But that raises an interesting point: I still read general media items about rare earths and they are still written as they were back in 2010-11 when the subject was first written about extensively in the “mainstream” media; there does not seem to have been any acknowledgement that the readership might have learned a thing or two on the subject in the past six years, so they still inevitably explain in A-B-C type detail about 17 (or 15) elements and still inevitably labour the point that the “rare” in rare earths is a misnomer. Natalia Petrovskaya, how very observant you are, did you also observe how many different mineralizations those 200 rare earth deposits have been discovered in. So why then is it that rare earths have been extracted from only 4 mineralization types, when there are very many different types of mineralizations in which rare earths are found. It’s not that easy extracting the rare earths is the correct answer. You see with rare earths it matters not how big your deposit is, or in fact if you have a rare earth deposit, because if you haven’t cracked the metallurgy (the way to extract the rare earths) then you have nothing but a deposit which will remain stuck in the ground. Dear Bill. Thanks for your reply. What do you think, what deposits are the most promising? Which countries are they? Dear Investor! You’re right and I agree with you completely. China has enough natural resources if they do not have enough, they can buy a deposit in Mongolia and Russia. In such a case China does not threaten the decline of REE production. They will dominate the market for many years. It were Chinese supply chain and demand. Then Molycorp and Lynas add additional supply to the world market. The Chinese supplyers were substituted by Molycorp and Lynas production. So they named illegal supplyers. Really it is not possible to produce high purity rare-earth illegal. It is produced at Works and illegal or not decide Goverment giving quota or not to producers. How you can earn money investing to new production outside China ? You just increase the supply on the market, prices will fall down and investments just donate Buyers.